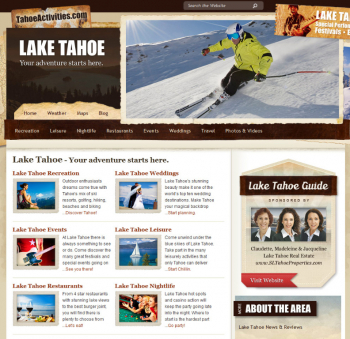 Our Branded guide was primarily developed for Real Estate and Lodging companies that need to offer their visitors information about what to do in Lake Tahoe. 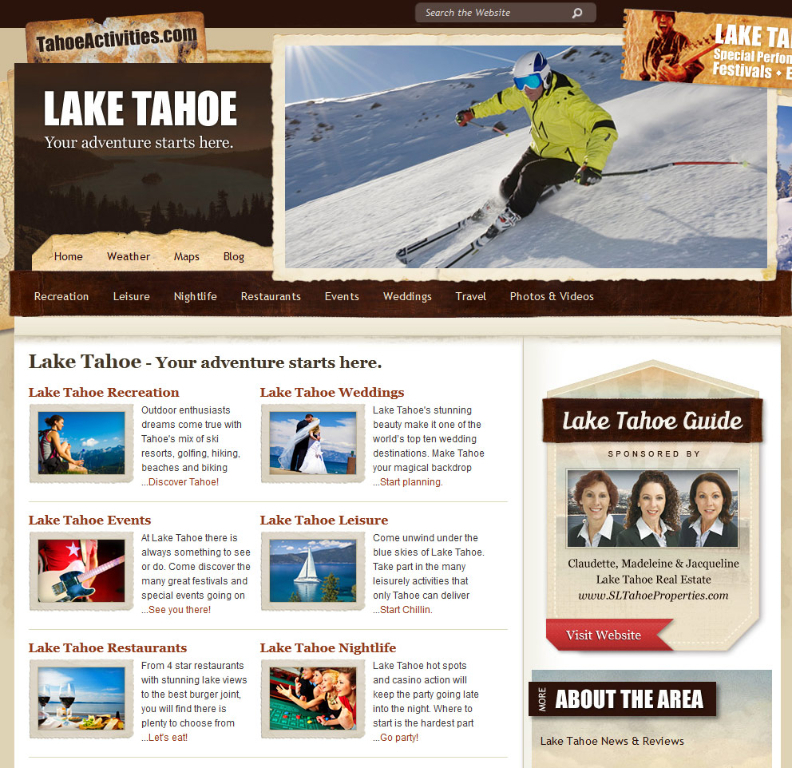 Rather than spending countless hours developing their own in-house guide / directory of local businesses, we will remove the Lodging category, Real Estate category and banner ads, then put a large Sponsored by graphic in the sidebar so visitors recognize you as the provider of the guide. This will allow you to spend more time on your own site and creating content that can help bring you more business and strengthen relationships with your visitors.